This install takes 1 to 2 hours and requires a little bit of patience and may cause skinned knuckles and over abundant use of profanity. Generally, if you can change your oil you can probably do this - just take your time. Also, having a second person is a major help. NEVER get under a vehicle supported solely by a jack! If you use a jack to raise the car, make sure to use jack stands to support it. You will be working around the vehicle's exhaust. Once you have the car on ramps or jack stands let it sit and cool off before starting work. 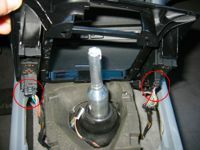 NOTE: The images below were taken after the original install and show the UUC shifter already in place. 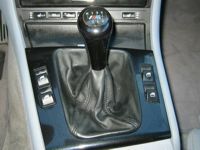 Your stock shifter will look slightly different (mainly in color). 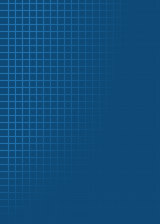 A few of the images are taken directly from UUC's instructions. 1 to 2 hours of free time. 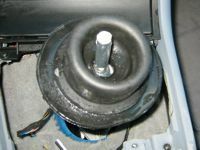 Carefully pull up the driver's side forward corner of the shift boot (see image). Pull the shift boot up over the knob. Follow the wire that runs down from the stock knob to a connector. Disconnect the knob power wire from the car. Push the boot down to expose the knob. Using both hands, pull up on the knob to remove it - note: the knob is pretty tight, make sure not to smack yourself in the head with it once it releases from the shifter! Remove the 2 screws at the back of the center panel. Disconnect the power window switch wiring (both sides). 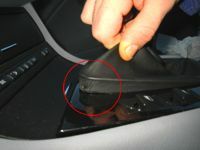 Pull up on the side of the rubber shift boot and pull it out of the opening in the body. Pull the rubber boot off the shifter. 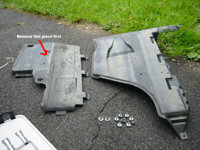 From underneath the car, remove the large plastic panel located directly under the shift mechanism. The panel is attached via a number of 8mm bolts. Once you remove the plastic panel you will be able to see the a long exhaust heat shield located in the tunnel of underbody. There is a retaining clip (just like the one that came with your kit) on the side of the shifter opposite to the selector rod. Visible from the passenger side. UUC says to do this step from under the car but I think its easier to do from inside the car. 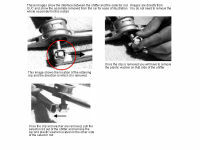 Using your long flat screwdriver, push the clip off the end of the selector rod (see image). 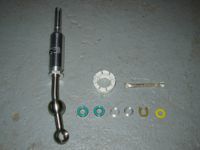 Remove the plastic washer from the end of the selector rod (see image). 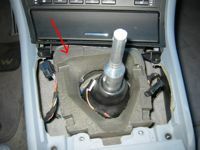 Pull the selector rod out of the shifter (see image). 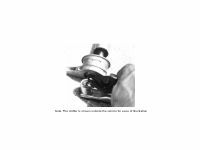 Remove the plastic washer from the other side of the selector rod (see image). Follow the shifter down to locate the large white nylon cup that surrounds and the ball on the shifter. 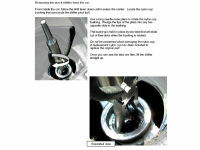 Use your long nose pliers to rotate the cup and release it from the vehicle (see image). Don't worry about damaging the nylon cup - you will not be reusing it (see image). 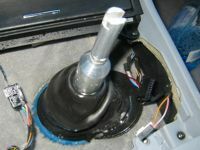 Once the cup is released, lift the stock shifter up out of the car. Use the included lubricant to coat the inside of the new nylon cup (see image). 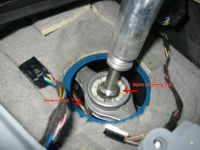 Insert the new shifter through the top of the nylon cup and snap in into place (see image). 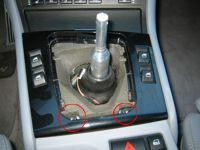 Line up the shifter with the top pointing toward the BACK of the car (see image). 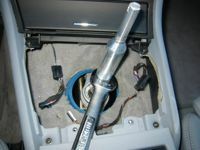 Push the shifter and nylon cup down into the aluminum carrier (see image). 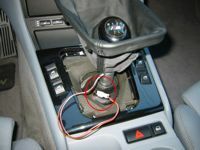 Make sure the cups snaps in - try pulling up on the shifter - if it comes out, repeat the previous step. 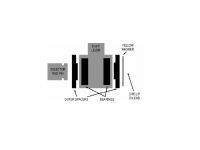 Follow the image to assemble the bearings, spacers and washer. Do not force the bearings into place as you may damage them. If they are very tight, carefully sand the outside of the bearing and try again - do this in VERY small steps. Make sure that the yellow washer flat side sits against the outer spacer and the rounded side is facing out. Using your snap ring pliers push the retaining clip into the grove at the end of the selector rod. You can also do this with a set of long nose pliers but snap ring pliers make this step 1000 times easier (trust me). This is the difficult part of the install as you will basically be working blind. If you have a helper, have him/her pull the shifter over toward the driver's side of the car and shine the flash light down from the top to help you out. Once the clip is in the grove, make sure to push it all the way on. 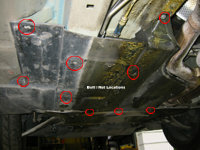 Replace the two bolts in the heat shield. You're done under the car! You can now lower the car off a lift or off jack stands. If you are using ramps, leave the car as it for now. Everything from here on out is done from inside the car. The UUC shifter comes adjusted to its top position from the factory (roughly the same height as the factory shifter). If you want to retain this height, use your 24mm wrench to tighten the bolt at the bottom of the fat part of the shifter (I've noticed that the bolt is not tight from the factory and will cause your shifter to make noise if it is not tightened). 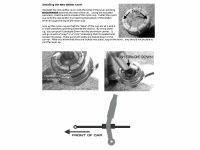 If you want to lower the shifter (actually knob height) loosen the bolt at the bottom of the fat part of the shifter a couple of turns - do not back it all the way out. Push the top of the shifter down as much as desired (this take a bit of muscle) - you can test final height by test fitting the knob. Once you are happy with shifter height, tighten the bolt. Spray the edges and the center section of the rubber boot with Windex (this will make it much, much easier to install). Locate the arrow on the edge of the rubber boot and line it up so that is faces forward. Slide the boot on to the shifter. Push the large under the lip of the opening in the floor - make sure you do not push the boot all the way through - there is a smaller lip on top of the large lip - this stays inside the vehicle. Work your way around the boot to make sure it is seated properly all the way around. Reverse the steps you took in step 4. 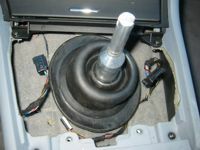 Make sure that the power lead for the knob is accessible and not trapped under the shifter insulation. The factory knob simply snaps down into place. 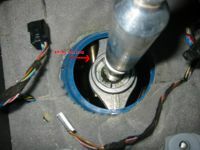 After the knob is snapped into place, reconnect the knob illumination power lead. Align the shift boot frame and snap it down into the center panel. Done! Go for a drive.